This Hudswell garden has stunning views over the Yorkshire Dales. Our brief was to maximise views of the surrounding landscape whilst providing shelter from the wind and creating areas for sitting and entertaining. The planting is low maintenance with year round interest and stunning colour. 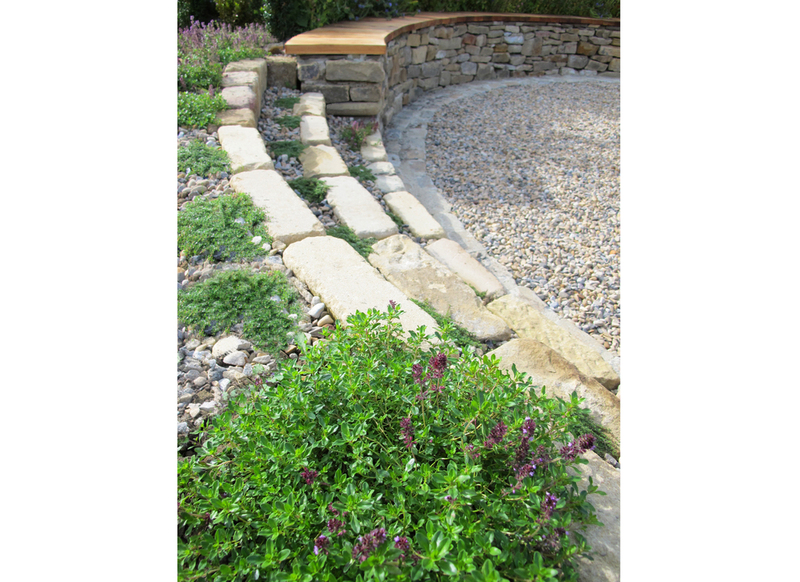 A curved path leads from an extended patio to the first of two circular areas sheltered by evergreen Yew and Box hedging. This area for evening dining and relaxation catches the setting sun. Along the path a larger circular amphitheatre is flanked by two semi circular dry stone walls with cedar seating. This area terminates in an arc of Thyme – covered steps leading out towards Barden Moor. 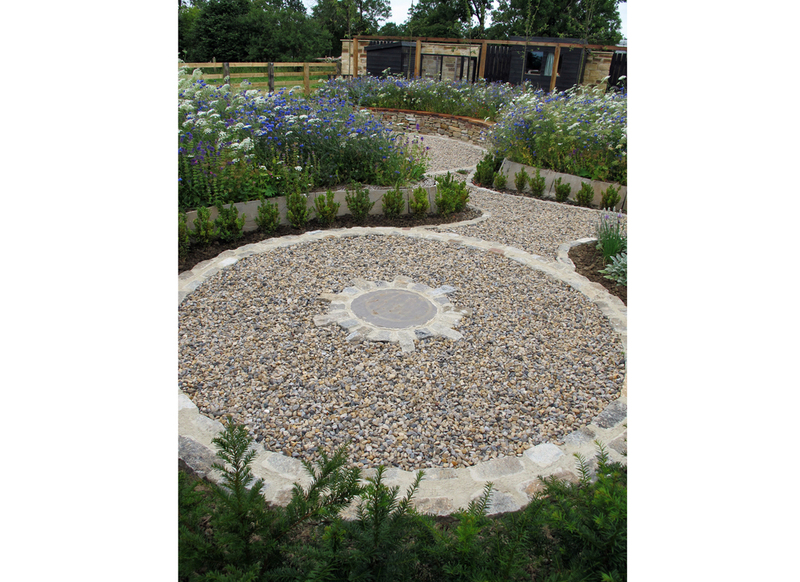 Around the circular areas two large raised beds contain stunning meadows of perennial flower mixes. 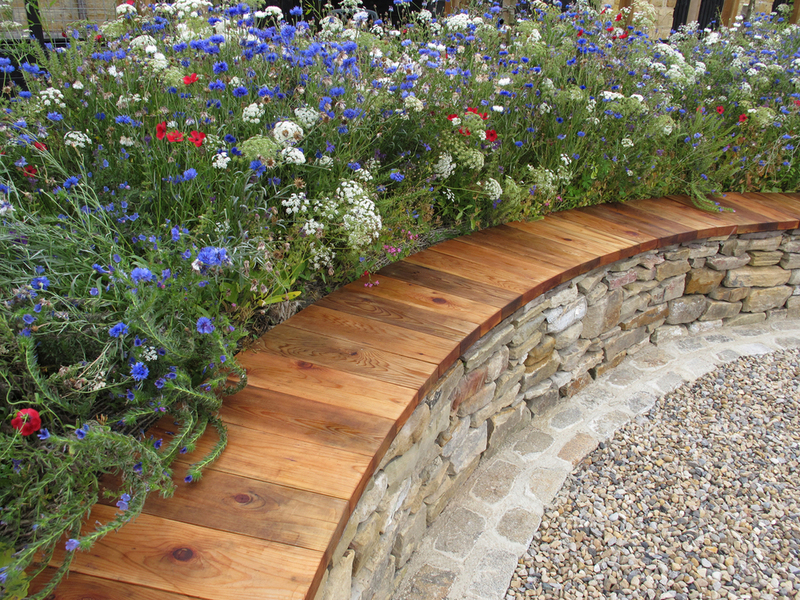 These spectacular beds hum with bees, providing a stunning display that blends seamlessly into the countryside beyond. The opposite bed contains a ribbon of Crab Apples which will form a stilt hedge winding its way through the garden, providing blossom and fruit.